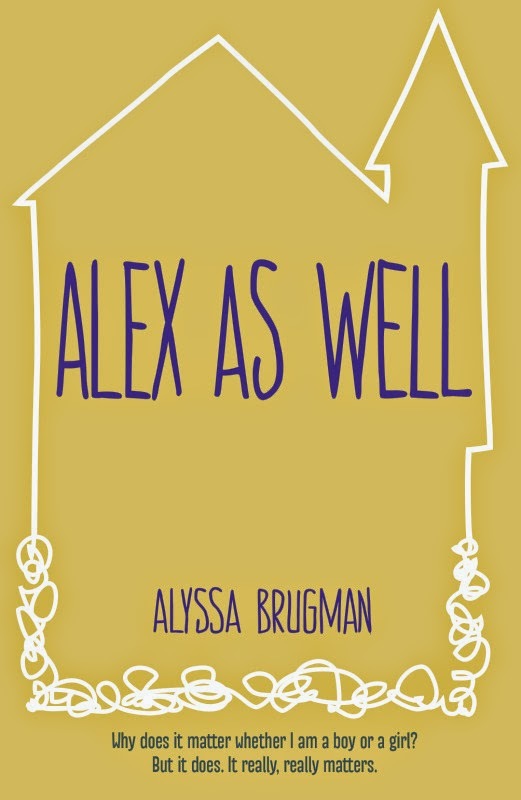 Book Review: Alyssa Brugman's "Alex As Well"
Home » books » read women 2014 » review » Book Review: Alyssa Brugman's "Alex As Well"
Alex is different. Like many teenagers she’s struggling to forge her identity at a pivotal point in her life. She starts a new school, becomes a vegetarian, and is eager to leave behind her past self. Life is rarely that simple however, and she must find her way despite disagreements with parents, the struggle to find new friends, and the unmentionable thing that happened at her last school. I’m not a frequent reader of young adult fiction but I was intrigued by this book when I read about it in The Bookseller. Brugman bravely takes on the theme of gender identity and is largely successful. Alex is an engaging, forceful character who knows what she wants even in the difficult situation she finds herself in. Here is a character we can really relate to. Despite experiencing the cruelty of teenagers and having parents who are struggling to accept her, the tale doesn’t become one of self-pity due to the sheer energy of this narrator. The story is told alternatively from Alex’s perspective and via her Mother’s updates on a parenting forum. I found it interesting that Brugman chose to give the Mother a voice in this way and it does reveal some of Alex's medical history. However, in this instance the addition of an alternative perspective served more to reinforce Alex’s mother’s poor handling of the situation when I would have preferred for it add more nuance to the relationship between the two characters. That said, this is a clever book. It explores the intersex experience and I think it’s brilliant to see a story like this being introduced to younger readers. Ideas of gender conditioning, sexuality, and representations of feminine beauty are explored in an accessible way. The ever present other Alex serves as an interesting representation of the enduring nature of gender stereotypes. I liked this book. I didn’t love it, but I do think it’s an important one for young people to read.